For small-medium businesses who want to use Mircosoft Office 365, SuiteFiles offers the easiest, integrated solution for their file migration, management and backup needs. SuiteFiles acts as the ‘one source of truth’ for a business’ documents – from files and emails, to templates and images – and allows it all to be easily accessed, worked on and shared across the organisation. 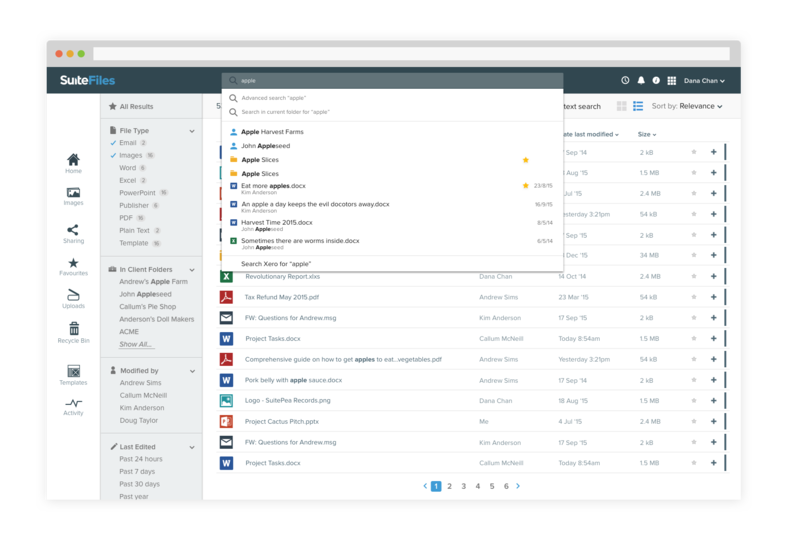 SuiteFiles gives SMBs clear oversight and control over their documents, while still retaining great flexibility around how and where they work. Integrated with familiar tools like Microsoft Office and Xero, SuiteFiles makes it easy for SMBs to hit the ground running in the cloud. Through a dedicated partner portal, SuiteFiles makes it simple for IT solution partners and resellers to manage, deploy and support SuiteFiles for their clients. Quickly set up businesses in the cloud, or even migrate them off other cloud systems and onto the SuiteFiles platform. Built on Microsoft’s cloud technology, SuiteFiles enables partners to diversify their cloud offering with a safe and easy-to-use solution perfect for SMB customers. 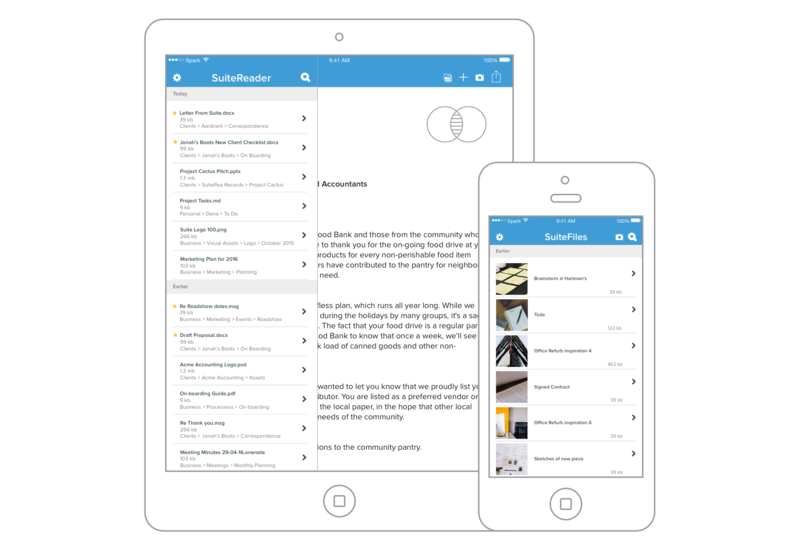 SuiteFiles builds cloud document management tools designed for small-medium businesses. 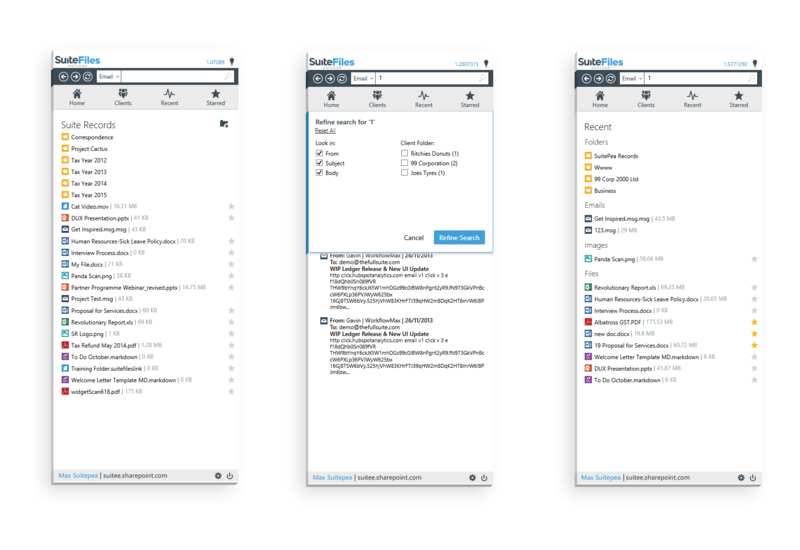 More than simple file storage, its integrated file management platform, SuiteFiles, is used by SMBs around the world to migrate, manage, edit and backup their files. SuiteFiles offers IT solution partners and resellers no fuss, easily scalable, cost-effective solutions for their clients’ file management needs. SuiteFiles is a New Zealand-based SaaS company and winner of Microsoft’s 2012 Start-Up Partner of the Year. SuiteFiles can help you through every part of your client’s cloud journey – from migration to SharePoint Online to setting up backups. Migrations with SuiteFiles are quick, painless, and can happen over a weekend! Click here to find out more about our migration tool, SuiteMoves. For those human mistake moments, SuiteBackups has your clients covered. Click here for more information about our backups tool.